This patient came in complaining of a wide nose, droopy tip, nasal bump and airway obstruction. 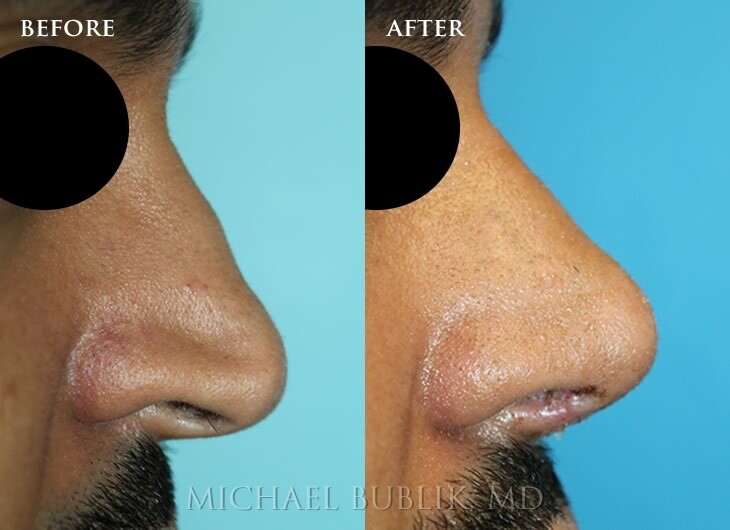 He underwent rhinoplasty (nose reshaping), septoplasty and turbinate reduction. The nose is narrower in appearance, the tip is naturally elevated and the bridge is straight. He is very happy with his result. 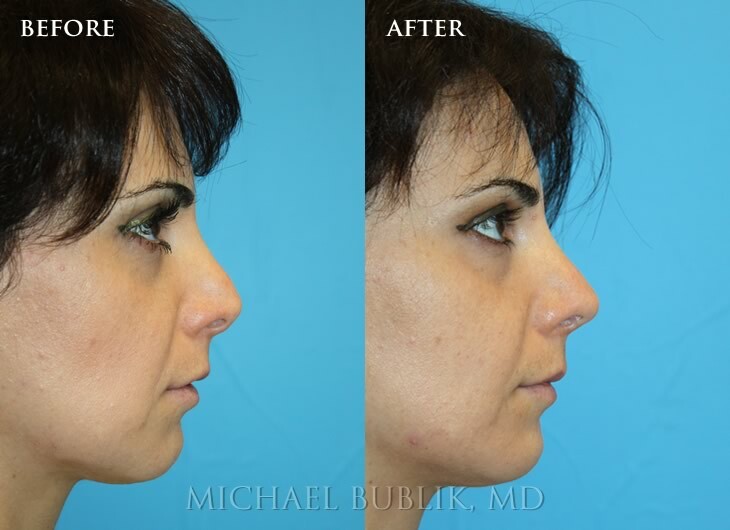 This young lady had a revision rhinoplasty with septoplasty and reduction of her inferior turbinates to improve her breathing. 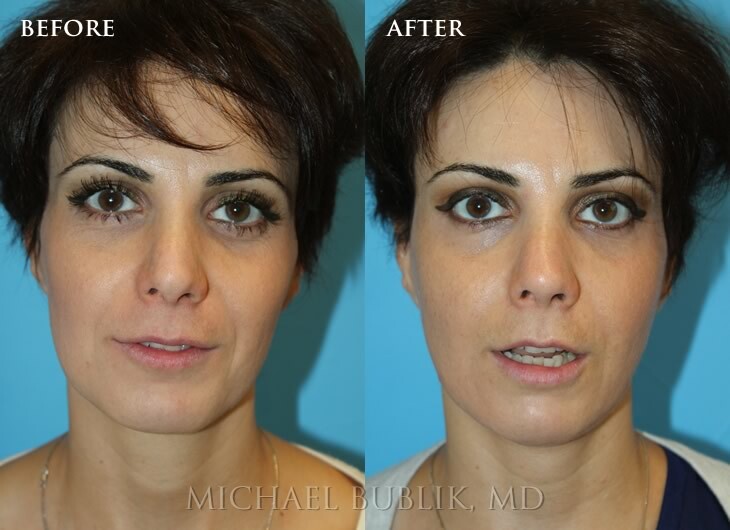 She had prior rhinoplasty and was not satisfied with the persistent nasal bump on the bridge of her nose, droopy tip, retracted nostrils and short infantile nasal tip. She also had breathing problems due to a persistent deviated septum and large inferior turbinates. 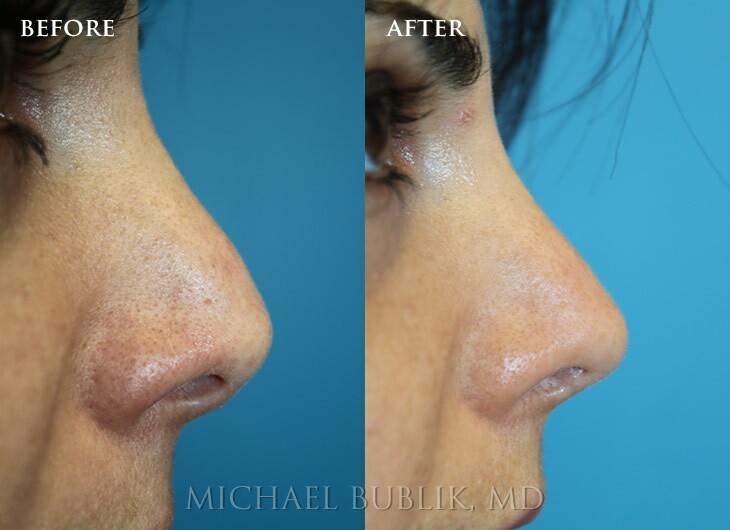 She underwent revision rhinoplasty septoplasty, and turbinate reduction. You can see how she no longer has a nasal bump and her tip is no longer droopy and has appropriate length and projection.